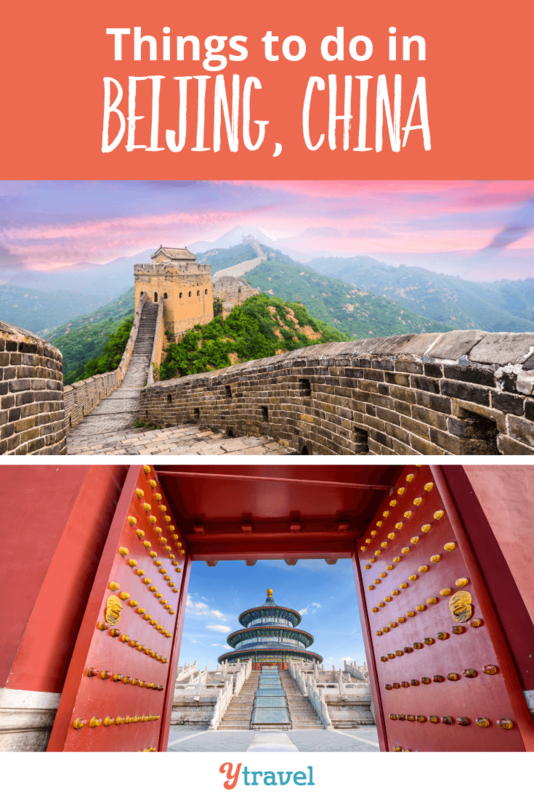 Looking for travel tips on what to do in Beijing? As part of our city guides series, we interviewed Stephen Whale who has lived in Beijing for two years. In the north of Beijing city is the National Stadium, or Birds Nest. Used in the 2008 Olympics this stadium is best visited at dusk, just before the stadium and nearby Water Cube are colorfully illuminated at night. A couple of warnings: avoid Beijing Zoo – it’s one of the few places in northern China to see Giant Pandas, but the living conditions are terrible. Take the time to travel to Chengdu and visit the Panda Conservation Base instead. It’s still a bit questionable, but they’re at least helping the species. Finally, spend any time in Tian’an’men or Wangfujing and it’s inevitable that some friendly students will approach you looking to practice their English. Chat to them by all means, but don’t accept their invitation for a drink as it turns into an expensive scam. Of course, nearly everyone will want to try Peking Duck. The most hyped is DaDong, famed for its crispy skin – it’s excellent duck but the side dishes aren’t up to the same standards given the high price. Most tour groups will visit a brand of Quanjude, but as with DaDong you might notice a distinct lack of Beijingers eating there. A good compromise is Bianyifan, which has been serving duck since 1416 and is a perfect combination of excellent duck and other dishes. Beijing is also home to some of the best examples of regional Chinese cuisines. If you’re not travelling further in China take the opportunity to try spicy yet delicate Sichuan hotpot, rich in flavour Yunnan dishes or rustic Xinjiang lamb kebabs. For a special meal look for Imperial food, as served to the Emperors, but be prepared to pay handsomely. The Beijinger website has a useful directory of English-friendly restaurants. If you’ve somehow tired of Chinese food, then Sanlitun is home to the majority of foreign restaurants. The South East Asian food is of particularly high quality, whilst the Italian and American dishes might leave a lot to be desired, and cost many times the price of a Chinese meal. There are two main areas – Sanlitun and the hutongs around HouHai Lake. In warm weather it’s hard to beat sitting by the lake with a drink, accompanied by the sounds of local musicians. The cheapest way to get around Beijing is by subway – the price is fixed at 2rmb (US$0.31) no matter how far you go. It’s best avoided at rush hour. Many stations have maps in English but it’s worth carrying a subway map round anyway. The easiest way to get around Beijing is by taxi. Prices start at 10rmb and increase with time and distance, but it’s hard to ever spend over 50rmb. Note that there’s a 3rmb surcharge after 2km that won’t appear on the meter, so be prepared to pay the extra, but there’s no expectation of tipping. A taxi in from the airport will cost 80-90rmb. Whilst the taxis are generally helpful, there are a few unscrupulous drivers so it’s worth watching that the meter goes up evenly, and your change is real. Stay away from the three-wheeled pedicabs. They’re dangerous and will almost always try to scam passengers, even Chinese. 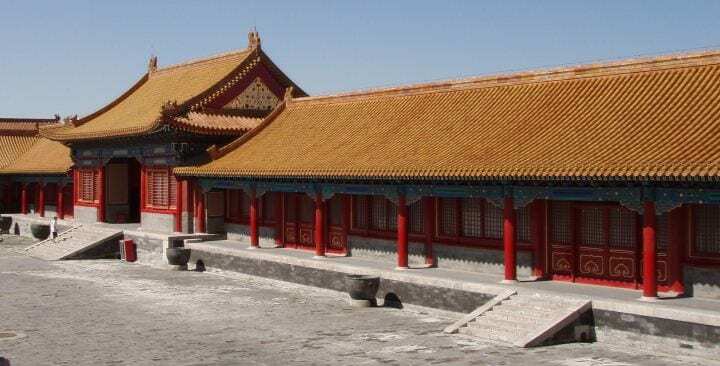 Beijing city is very flat but spread out, so if you travel much farther afield you’ll need to find transport – many hostels also offer a bicycle hire service. In the hutongs, you can give your feet a break by hiring a rickshaw but negotiate a price before getting in. It’s very easy to find WiFi, but you should be aware that the government censors many social media web sites such as Facebook and Twitter. Google works most of the time but is a little slow. Wikipedia is often blocked, but Wikitravel is generally OK.
Internet addicts may wish to invest in a cheap VPN to bypass the blocks if you’re spending a few weeks in China. The most famous must be the Great Wall of China. 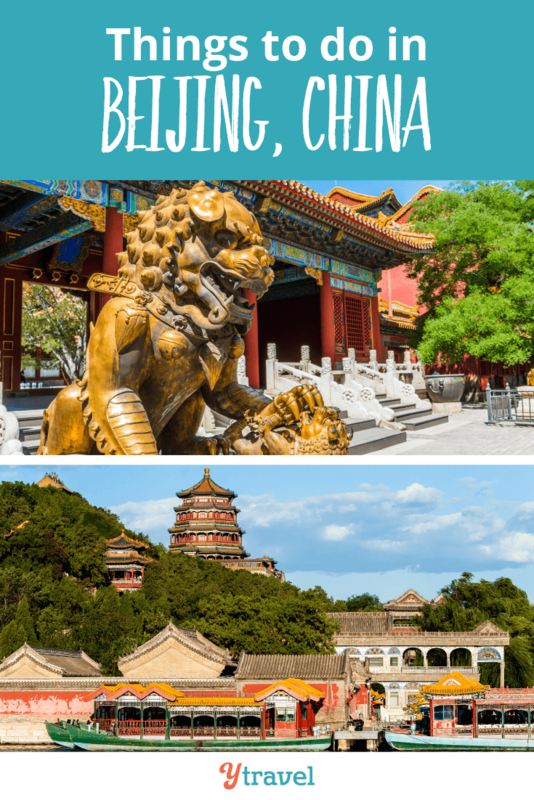 For those with only half a day, Badaling is very close to the city, but can be extremely busy. For a different experience, it’s also possible to camp overnight there, on top of the Wall. Slightly further away is Mutianyu – it’s a full day trip and a bit more climbing but you get to see unrestored wall rolling across the hills. There are plenty of other ‘Wild Wall’ sections to enjoy hiking trails, but be careful as they can be poorly maintained and the emergency services won’t come and find you in the event of an injury. Avoid travelling during the Chun Yun migration, when half of the cities 20 million inhabitants go home to the countryside for their annual holiday. Tourist sites are packed, whilst public transport and restaurants are understaffed. From Europe, the cheapest is always AeroFlot, but I tend to pay a little extra and use Lufthansa for more comfort and a working entertainment system. Travelling to the US, American Airlines or Delta are cheapest, but I prefer Air China for the on-board dim sum. Many toilets in Beijing are the traditional squat style. Give them a try, or you can find western style toilets in the lobbies of large hotels or international chains such as McDonalds and Starbucks (but not KFC!). Look for the stall marked Disabled, Old Man or even Maimed/Crippled. Everywhere you look you can find the blurring of borders between East & West, new & old, traditional and contemporary. Walk through the quieter areas and every corner has an adventure, a friendly face or simply something very strange going on. Booking.com has 1,000+ properties in Beijing including hotels, apartments, and guesthouses. You get free cancelation on most rooms and a best price guarantee. 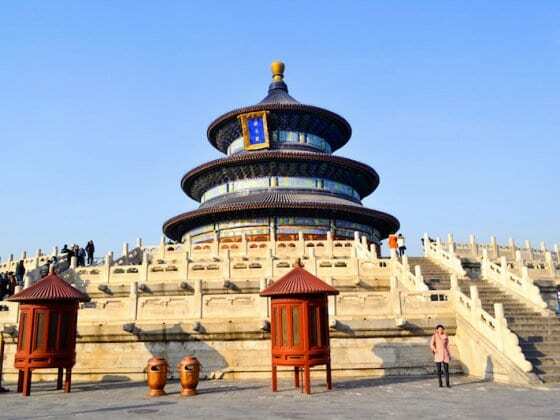 Check out these awesome tours of Beijing with our partner Viator. 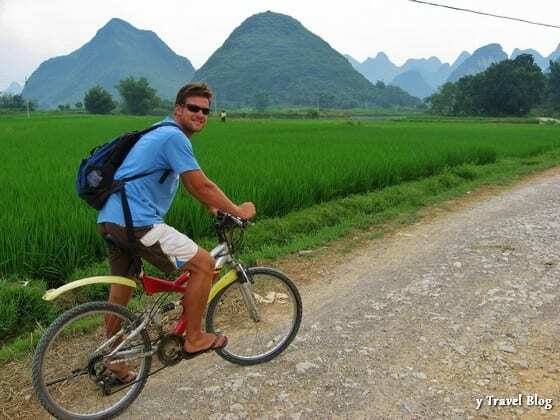 BIO: After leaving work in 2006, and travelling round over 80 countries, Steve has based himself in Beijing. Follow his blog and ask any questions you may have at You’re Not From Around Here, Are You? 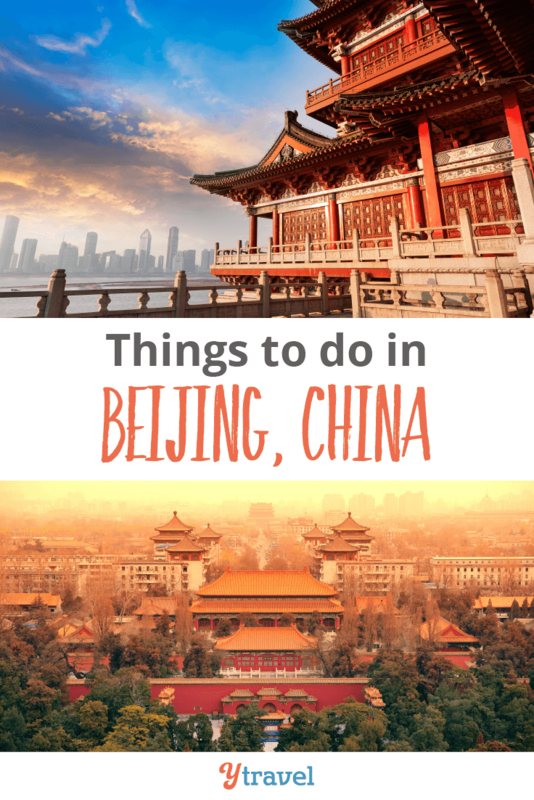 Do you have any tips on what to do in Beijing? Please share in the comments below. Beautiful article. Very specific and accurate. You had me at DaDong. Ducks are delicious! Also, thank you for warning us about the Beijing zoo. I’ve always wanted to see pandas but not when they’re looking sad and uncared for. Yes I very much enjoyed this post. Found it very informative and helpful. Stepehen did a great job! Great post! I have a friend touring through Beijing right now – I think I’ll pass this on to him! It’s funny, you’re the second person to recently speak of the 798 Art Exhibit – up until then I’d never heard of it. Hi Margyle – 798 is great to visit. If they’re there right now there’s a series of laid back Summer music festivals and afterparties on at 798 in the evenings – check TheBeijinger.com for details. This is so perfect – we arrive in 3 days! mMmm I want that pancake! Great interview. I’d love to try the Jian Bing Chinese pancakes. Great travel bog. I love Beijing and the food is amazing. Just wish you could find the traditional Chinese dishes in the west. Beijing is a very nice place.. I will be going there when vacation comes. Thank you for posting this. Now i have knowledge on where to go once I’m there. Beijing is indeed nice. I will go there someday. Thank you for posting this. 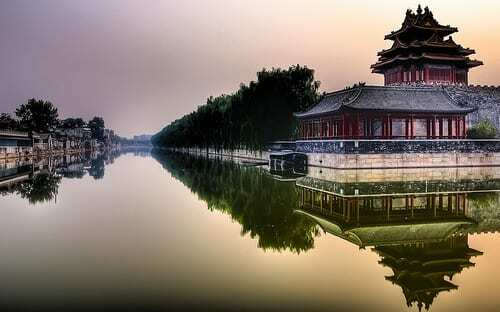 It accentuated the beauty of Beijing. Wow…good report…Insect Food makes me want to spit up. I’m surprised with the locals people who love this food. Lovely article, very useful for me. I has been to China a few years ago on business trip. However, i think that there are too many interesting destinations that i missed out last time. Your article help me a lot in preparation. Thank you. I love this post! And your one for Shanghai too! I made links to them in my travel blog. I will definitely be exploring your site! Thank you for that Rebecca! Really a great article – I wished I had something like this when I visited Beijing back in 2009. Not to many people mention the 798 Art Exhibit area, as a art lover and designer I highly recommend visiting the area, it is a wonderful way to connect with contemporary culture in China. Wow, great tips for my research! I hope to be there by this time next year. Love the post, here’s an interesting article on the “culture shock” experienced in China. Thanks for the thorough article, Craig. Nothing like starting your day with some jianbing. Yum! Heading to Beijing in October ! Cant wait!!! Im just back from Beijing an amazing place. Just letting you know I used your guide and Moving Postcards Beijing http://www.movingpostcards.tv/beijing and found both very useful. Just returned from Beijing. Agree w/ your comments but most in our group were surprised buy how expensive it was & unfortunately ran into a lot of the art student scammers & went to spa for foot massage & got up-charged for salts they put in water, when we didn’t ask for it, overall most felt the marketers tried to cheat them w/ giving wrong change, saying they had no smaller bills ect. Also, squat toilets at mcdonalds. Loved the Great Wall ! 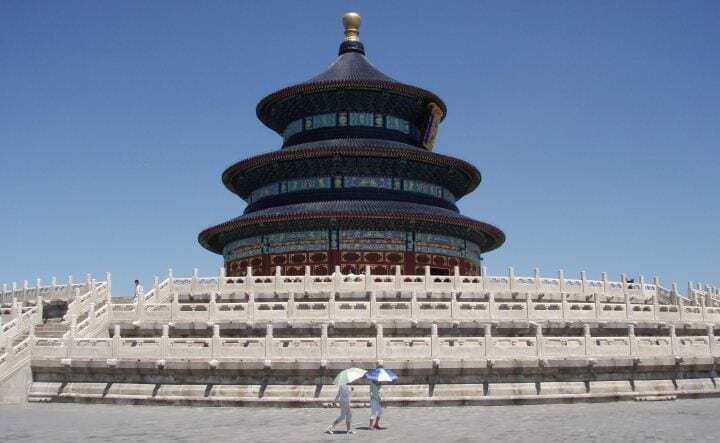 This is really a good travel post of Beijing Tour… It is the first time I visit your blog, but I was extremely impressed. Keep posting as I am gonna come to read it everyday! I was just in Beijing and have never seen such a crowd in a subway. Is there anywhere I can hook up with other couples and singles to make tour reservations. If you have 2 ,such as my friend and I the tours are $3-4 Hundred but if you have 5 it’s usually less than $100/ea. Awesome article, very informative! I’ve placed a link for it on my website to provide my readers with the best information possible, I hope you don’t mind.